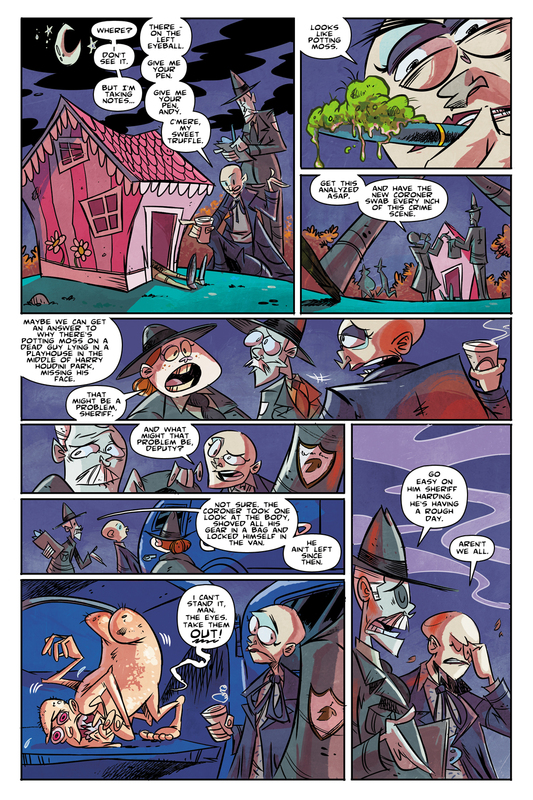 Next Page: Wednesday, March 27th! Now Appearing: Emerald City Comic Con 2018! I’ve got that “Emerald City Comic Con 2018-is-less-then-2-weeks-away-anxiety”. 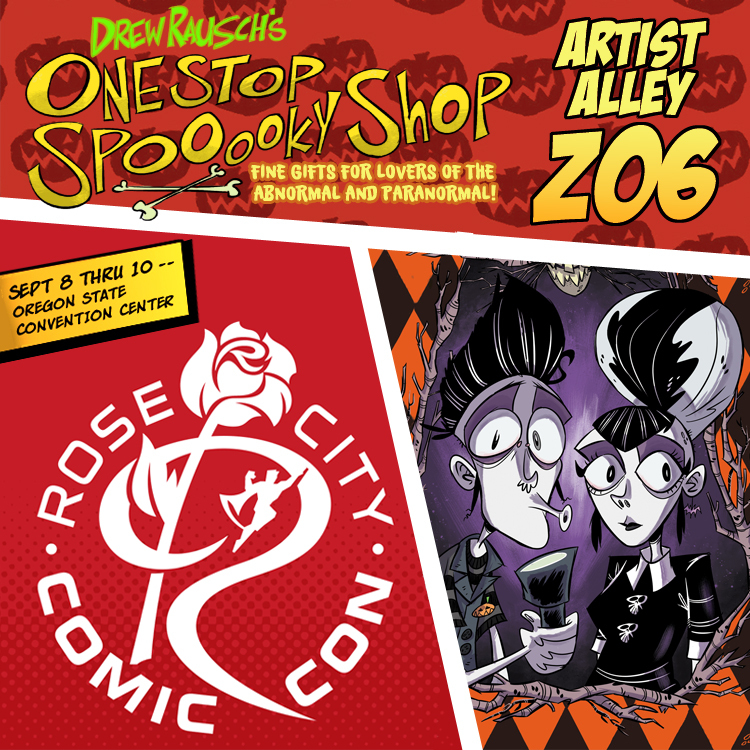 Jocelyn and I will be in Artist Alley J-10 serving up copious amounts of scary shenanigans! 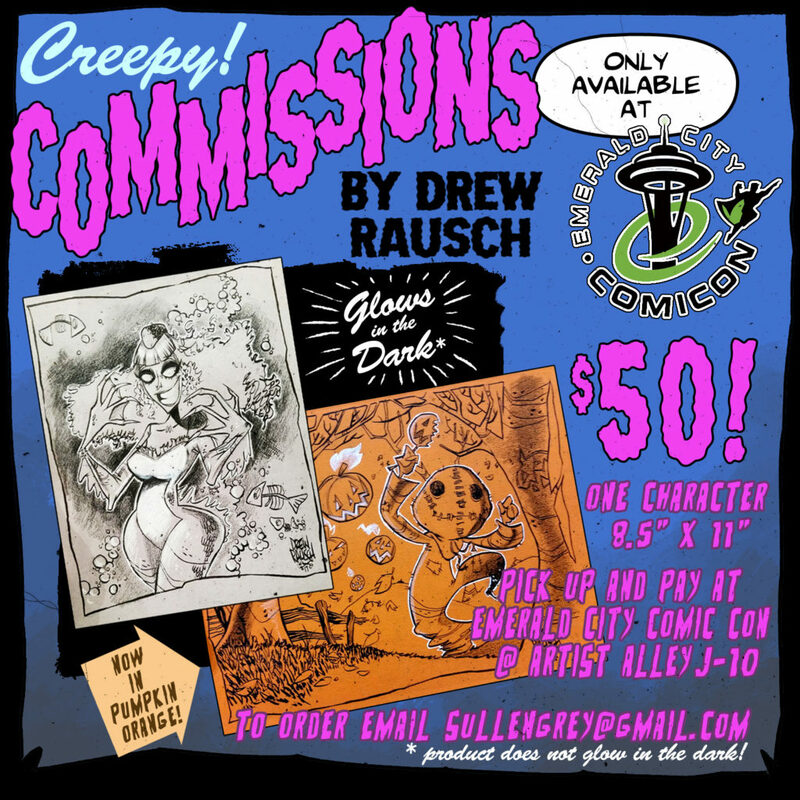 And I still have 8 Creepy Commission slots available! Just email sullengrey@gmail.com to get on the list! 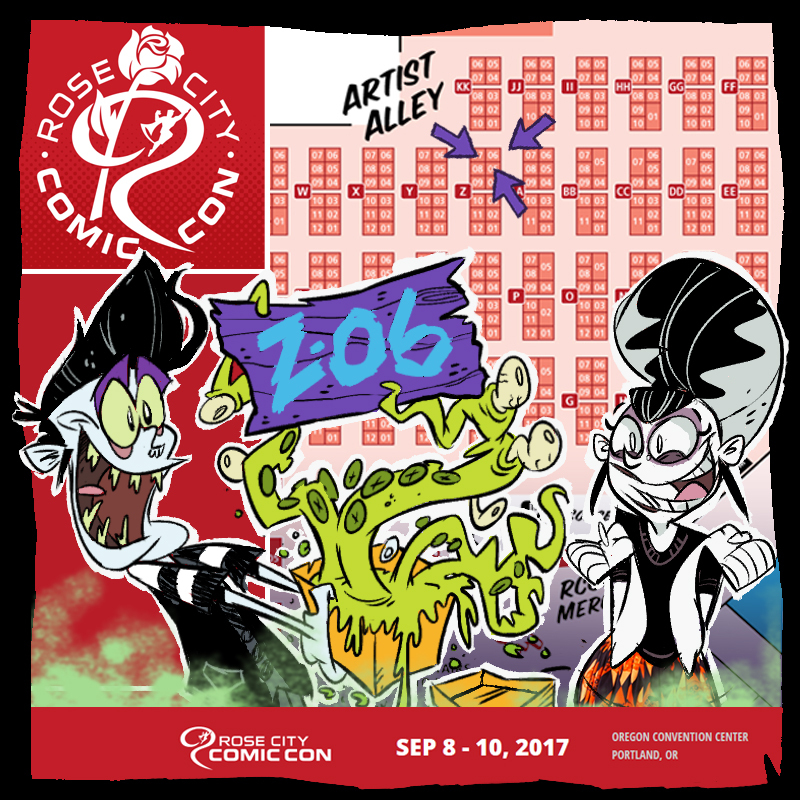 Now Appearing: Rose City Comic Con! 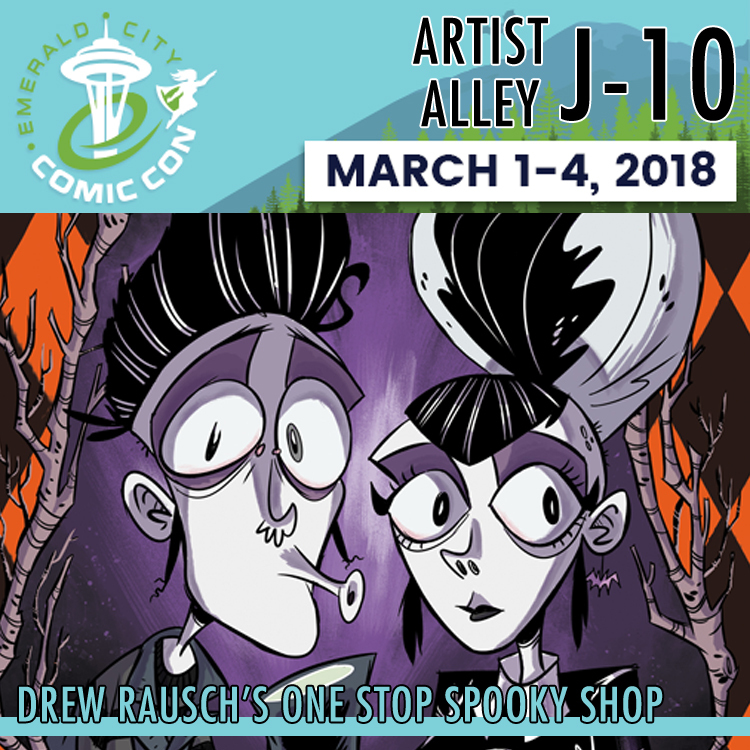 Portland, come to our table at Rose City Comic Con for the spooky art and comics this weekend, stay for our theories on the Twin Peaks finale! WE WILL HAVE LOTS OF BOTH!